Veritas Developers: Has built a reputation as a Premiere Boutique Luxury Home Builder. With a passion for unique design and exceptional quality, our team creates artful masterpieces which make living an experience in unparalleled luxury and functionality. We focus on one exceptional project at a time, ensuring each client receives undivided attention and a caliber of customer service which is second to none. 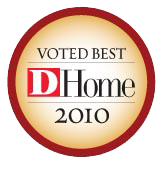 Our goal is to help each client rediscover the true meaning of "home." Located in Highland Park for over a decade serving Highland Park & University Park collectively known as the Park Cities, Turtle Creek, Greenway Parks, Preston Hollow and Bluffview, with a wealth of building and design experience, along with firm resolve to make each project far exceed the customer's expectations. We are committed to delivering a home that from the exterior to the interior elegantly reflect the client's lifestyle and taste.